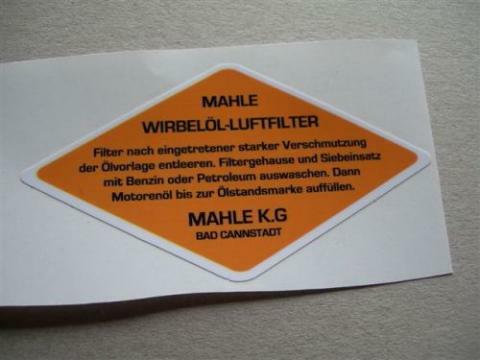 Mahle Stickers for Schwimmwagen and Kubelwagen Air Filter Cannisters. Suitable for most WW2 German vehicles. Price 6 Euros each including postage. or £6 stirling including postage.